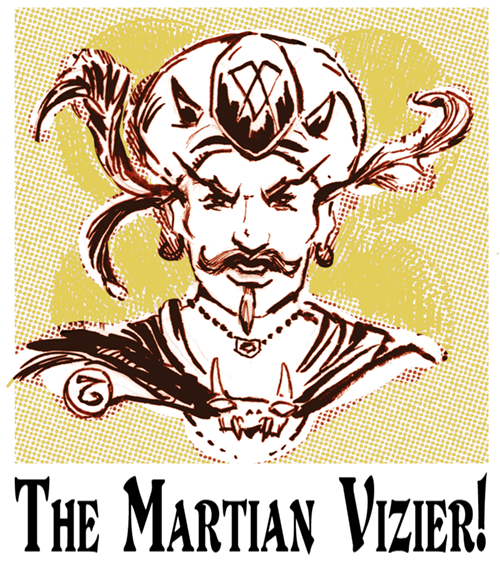 From his citadel on the Face of Mars, Koraz-hu, Vizier of the Red Planet, watches the cosmos. 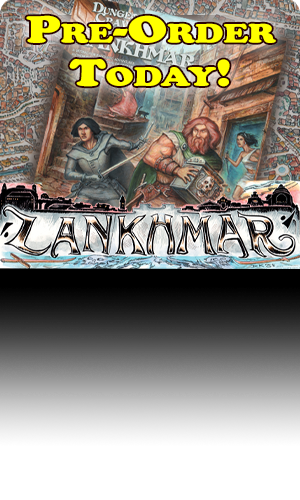 Here he offers insights into one of the newest adventures put forth by the talented scribes at Goodman Games. 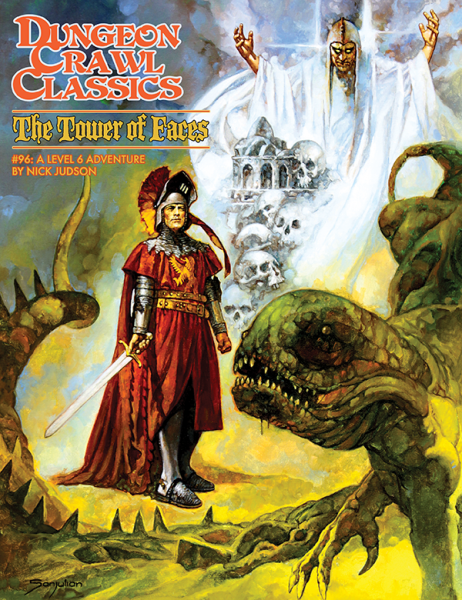 The Tower of Faces is a 6th level adventure by Nick Judson, with interior art by Tom Galambos, Doug Kovacs, Cliff Kurowski, Peter Mullen, and Stephen Poag. 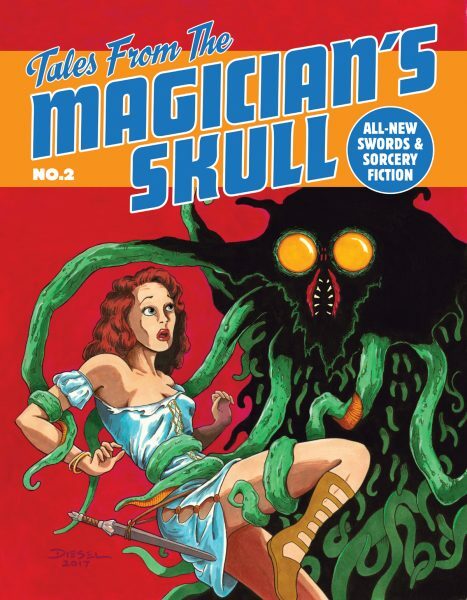 Cartography is by Stephen Poag, and that beautiful cover painting is by Sanjulian. 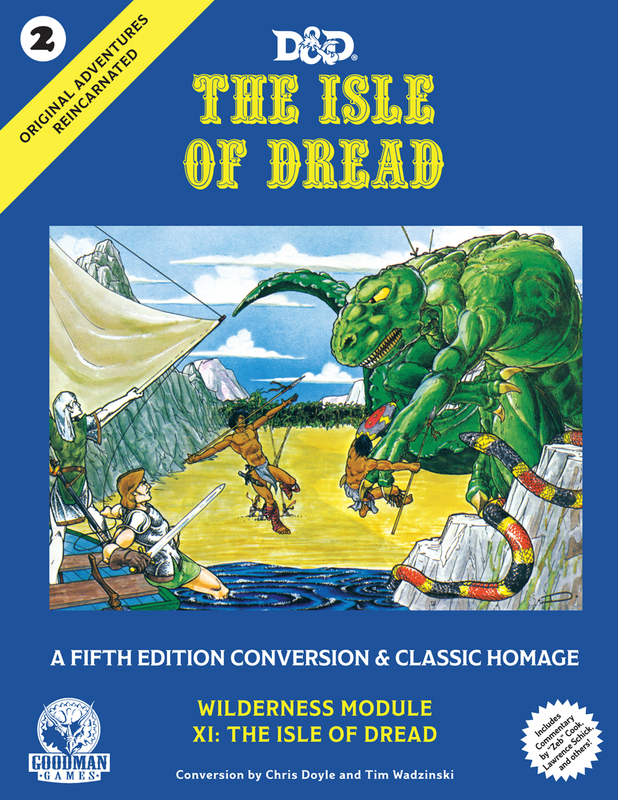 The adventure was also the winner of the 2017 Rodney Award (OSR rack) for adventure design at Gamehole Con 2017! 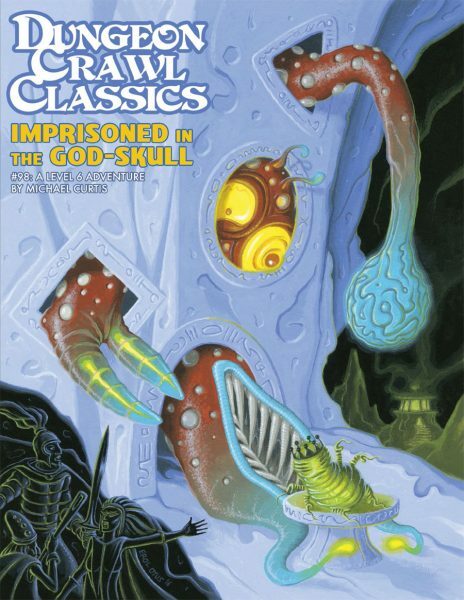 Dungeon Crawl Classics has a cool magic system. One under-utilized part of that system is ritual magic, and ritual magic drives the action of this adventure. 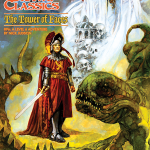 Your PCs are summoned to the Tower of Faces in the enchanted City of Naos to aid the Tower’s owner, Yonaxis the Magnificent, while he performs a great ritual. Those utilizing summoning magic encounter strange difficulties in Naos, so that the PCs arrive with free will to negotiate, accept, or refuse as they will. Yonaxis requires someone to guard his estate whilst he and his apprentices are engaged in a great summoning ritual. 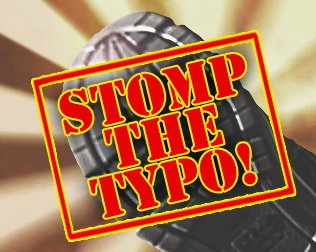 This is no dull waiting, though, because events happen that the PCs are left to dealt with…and how they deal with them may have a real effect on the adventure’s finale! These events and encounters range from being almost whimsical to being deadly in earnest, and determining which have important repercussions may not be easy for the players. The potential encounters are many and varied – the judge is even supplied with a drop table of 20 encounters that are not part of the core events. To get all the mileage you can from this adventure, two or more sessions are optimal. Don’t worry; the players won’t be bored. Neither will you. 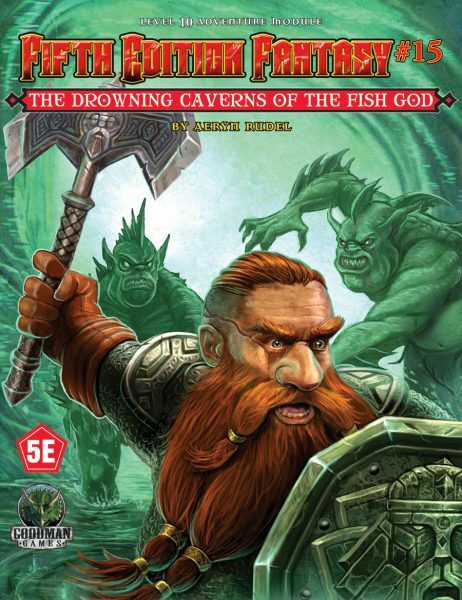 This adventure is not going to run the same way twice, so you can run it for several groups and get wildly disparate – but equally fun – results. 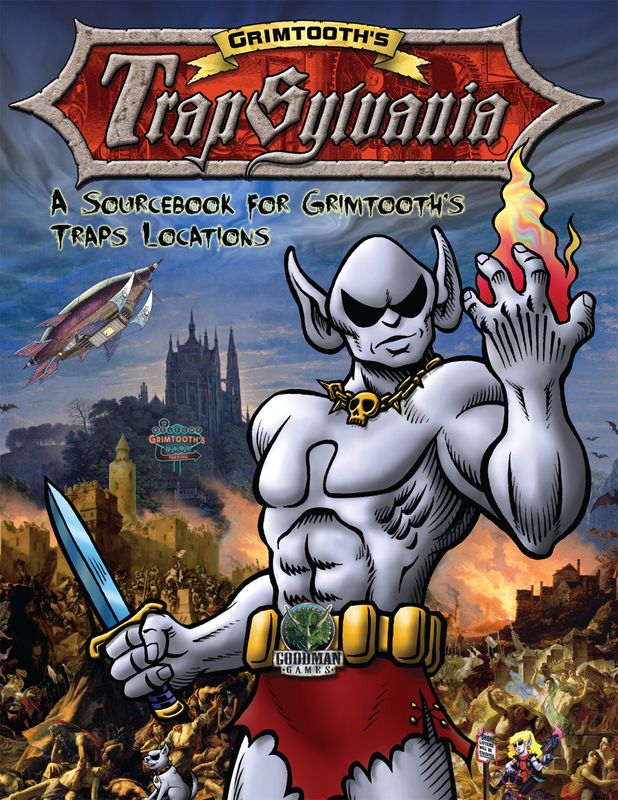 In the City of Naos, trolls and vampires walk freely, and the PCs are going to have to deal with them. For instance, a delivery of honeycakes on the second day offers a role-playing opportunity, which may also become not one, but two rollicking combats. Imaginative details in the encounter include how the cakes were created by obtaining honey from the great Cliff Wasps of Zanzizar, wooden halfling golems, and the danger of the PCs being compelled to eat the honeycakes if they so much as open the box that holds them. If the PCs defeat the ash trolls pursuing the cakes’ deliverer, more will come later to avenge them. The PCs can also pay the trolls off, but doing so takes from the limited funds they have to pay for deliveries! Nor can they seek advice from the wizard, who is hidden from them while preparing his ritual…. Phobos and Deimos roll through the Martian sky like two great misshapen polyhedral dice. The Vizier turns back to his own gaming table, setting out the otapot chips and zapiz for his evening’s guests. Night has come. The time for speaking of adventures is over; soon comes the adventure itself!